Charm and simplicity adorn a stunning Yellow Rose design on this Invitation from TicketRiver.com.au. If you’re inviting guests and VIP to a shower, graduation party, or event celebrating friendship, this is the right Invitation template for you. 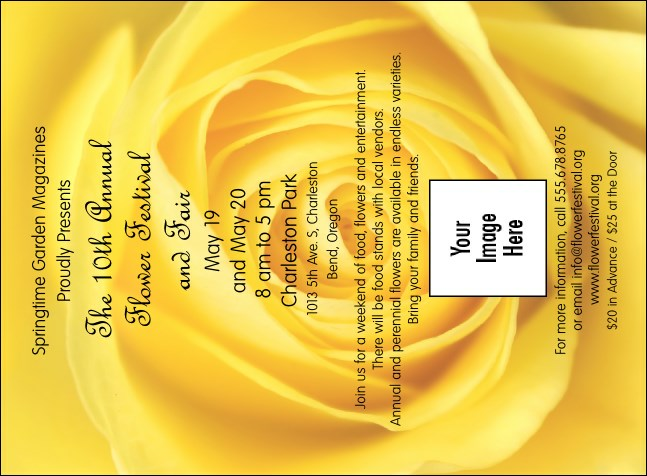 Let a Yellow Rose Invitation light up your guests’ mail today! Get your event started with a Yellow Rose Event Kit from TicketRiver.com.au!